I will preface this with hopes that someone has heard something different. There will be no software updates for at least 6 months and there is no further status on Android Auto. As for me, I continue to have major issues with the system blacking out, USB Audio always returning to the first song on the drive and locking on the song (I even created a brand new USB drive and re-loaded my music). The worst offender is the navigation system which always leads you into traffic jams, always points you "towards" something instead of giving you an exit number and is full of other issues like the inability to name a destination and the "send to car" function does not work on the app unless the car is started. I'm in a rough place as I have been waiting months on a resolution and in the meantime I have accumulated enough miles that I will lose substantial money via trade-in for something else. Really beating myself up right now and my dealership and Acura refuse to do anything. If you traded in the RDX, which car would you replace it with? A month ago he/she told you February (which isn't even here yet) and now it's nothing for at least 6 months. What makes him/her correct this time? 2 sales guys at my dealer told me Android coming "sometime this month" and "early 2019". Who's the person that told you this (Acura corporate or dealer employee)? I'm planning to buy a 19 RDX closer to summer - definitely hope AA is available by then. I was also told that Android Auto is coming "sometime this month" by 2 different Acura sales guys. But that was several months ago. Great...I sure hope they figure it out and get it working soon. The car has been out for 6+ months! I have an iPhone 8 and have never used CarPlay; obviously I have no need for Android Auto. That said, I was wondering if the RDX has AT&T Wi-Fi why can’t you connect to CP and/or AA via the AT&T Wi-Fi and skip the wired connection? 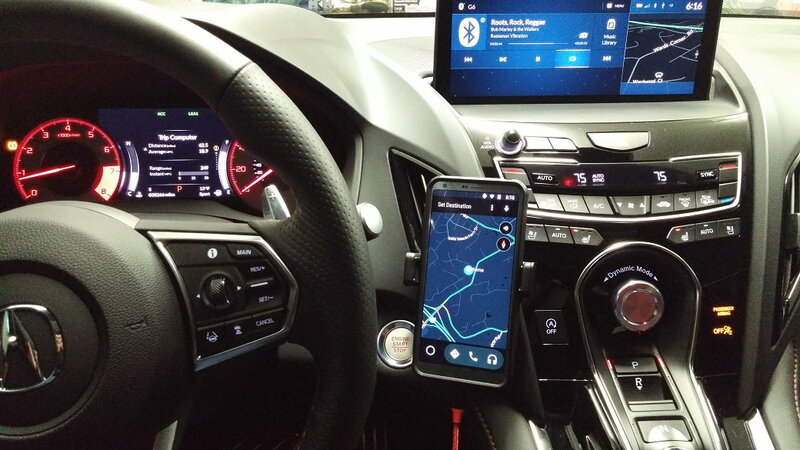 Acura would have to have the head unit setup for wireless connectivity (extra coding for the connection to work). Just having a Wifi connection doesn't mean CP or AA will work. It's more than connectivity. CP and AA would have to be able to support it. It is supposedly on the roadmap. As for Acura and dealers,. Dealers will say anything to get a sales. One dealer told me when I was test driving that AA is on the latest Dec update. I promptly went to my car and grabbed the cable to test. His face turned immediately red and fumbled to say it's coming. Never make your purchase decision on "coming features" . Buy the car based on today's feature with little expectation. If AA is a must, wait or move on to other vehicle. Was reading a recent article on Google progress on Android in the car and it seems Google is at least aware. They mentioned acura has the relative positioning touchpad interface so maybe they are working on it lol. Very good article to read by the way to see where we are headed. The only annoying thing is no time line is given. 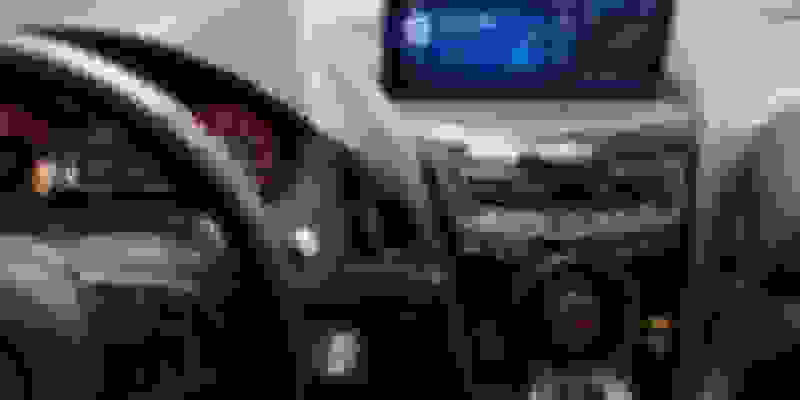 Last edited by narutoninjakid; 01-30-2019 at 10:56 AM. 1. Shame on anyone who buys a car based on a verbal promise rather than a written guarantee of something to come. 2. Honda needs to fix existing features before they even think about adding a new feature. I actually asked for this when a sales guy told me Android Auto was coming to the RDX "later this month." I told him that if he can give me a money back guarantee, in writing, I'd buy the car today. (It was easy for me to make this statement since I knew he couldn't & wouldn't give me that guarantee.) He of course said NO. Worst case scenario for the tech obsessed: you buy a decent mount and stick your favorite smartphone on the dash, with its well designed touchscreen interface within easy reach. Or even ( gasp! ) a stand-alone GPS receiver. Not saying this isn't a problem, but viable alternatives do exist. I'm in a similar place. I would prefer that AA be provided by Acura, but really like what you posted here. Any chance you could post a picture of yours in your RDX, both holding the phone, and without? Thanks! EDIT to add: Which phone are you using? Thanks! Here are some pictures that I took last night. I'm currently using an LG G6. It's kind of sad that you still have to use a phone mount with a brand new car that is supposedly technologically advanced. Why can't they just mirror our phones or come up with a convenient place to place your phone? It really can't be that hard. Why are we even messing around with Carplay and Android Auto in the first place? "Mirroring" is display only. If you want to control anything without pawing at your phone, you need something more sophisticated than that. CarPlay and AA don't just provide a bidirectional clone of the smartphone interface on a car display/input system because Apple and Google feel that would be too distracting. I think they are right. People literally fall into holes in the sidewalk when they have their noses in their phones. Do you really want to drive on roads where everyone is doing that? Yeah, handicapping features because people are dumb is a great way to innovate lol. If everyone is just mounting their phone right next to the infotainment screen because the in vehicle system is inferior to directly using their phone, I think the market has spoken haha. If manufacturers make better navi and easy access to our music library we wouldn't need AA or CP. Tesla is a perfect example of that. At CES, Google showcase a full Android auto unit, which is designed to replace the cars infotaminment, and control system. No more tethering your phone. Is up for it's refresh or next gen? This is bad news for me. While waiting for Honda to release the Passport I'm secretly hoping the RDX gets Android Auto (and a fix to the Infotainment system issues). It doesn't look like it's happening anytime soon, if at all. I would hate myself if I bought a $50K car and still had to strap my phone to the dash like I do with my current car. Siri Eyes Free seems to work pretty well for me to control music and read/write texts. Not sure if there is an Android equivalent. I used nothing but iPhones since THE iPhone (the original). After years of being curious about Android I finally switched, just last year. I'm not sure if I wanna switch back. Off topic but I did exactly that. Just switched to pixel 3 since 3GS and I can't wait to switch back.... It's a smart phone but the interface is just so unintuitive. Same apps runs slower than my iPhone 6s! so not having AA doesn't bother me. My alternative was a X3 and that has no option for AA whatsoever, not even on the roadmap. I would expect all Acura models will have True Touch at some point. The MDX spyshots for the next gen mule had a True Touch pad bolted on the center console. More cars are starting to use a touchpad style interface. Google will need to include this interface type if they expect Android Auto to be successful going forward. The Chicago Auto Show is next week. Acura will be there so if anyone is in that area, perhaps see if they can talk with a rep there and ask about Android support. Good idea. I wonder if they really know, though. I'm using this vent cell phone holder now, and it is a VERY good interim fix until AA gets here from Acura and Google. You don't even need to plug the phone in to use AA this way. Thanks again for the suggestion, and I wanted to share so others may find this a working solution for now. I've got some potential bad news for the android auto fans out there. My car was built in Dec of 2018, and has software version D.1.1.2. There is no Android Auto icon on the homescreen, but has some other updates (nav zoom) that haven't been seen from what I understand in other threads. I suppose it is possible that the Android Auto icon does not appear until connecting an Android Auto capable phone, but it seems like the lack of icon hints that it will not be in this software release. Someone had mentioned that it is about 2.5 months from factory software install to update release, meaning you may not see Android Auto until much later than March of this year. I hope for y'all this is not the case. What do people use carplay and Android auto for? Just maps, music,and messages or is there something else?